GGSIPU Date Sheets 2019 has been released for the various courses for the semester examination. Candidates eligible to write the exam can check IPU Date Sheets for April/May 2019 exam from this page. The exam date, time, semester, programme name and the important instruction is provided on GGSIPU Date Sheet. The eligible candidates have to submit the application form and fees to write the exam. The university will issue the admit card to all the eligible candidates. Check the page for GGSIPU Date Sheet/Notice. Latest: GGSIPU has released the Final Theory / Practical Date sheet for B.Tech Affiliated April/May 2019 exam. Also to check the GGSIPU Exam (May/June 2018) Result- Click here. Candidate can find the date sheet for theory and practical exam here. GGSIPU Date Sheet is provided for the examination being conducted in the month of April/May 2019. Read the instruction provided below the date sheet and follow them on the exam of the exam. Candidates can find IPU Date Sheets below. Date Sheet: Click Here to check GGSIPU Date Sheet. How to Download GGSIPU Date Sheets 2019? Click on the links provided and download IPU Date Sheet 2019. IPU students can visit the official website and download the date for theory and practical exam. Follow the steps to download the date sheet. Check the dates and download the same. Note: The exam centre name is mentioned below the date sheet. The instruction mentioned below students must follow them strictly. The students appearing for the semester theory / practical exam must carry their Admit Card on the day of each exam. The University will release the Admit Card before the exam. IPU Admit Card is the permit for attending the exam. Any students without the Admit Card will not be entertained in the exam centre. The Admit Card holds the detail of the exam and the appearing candidate. The examiner in the exam will verify the Admit Card of the students. 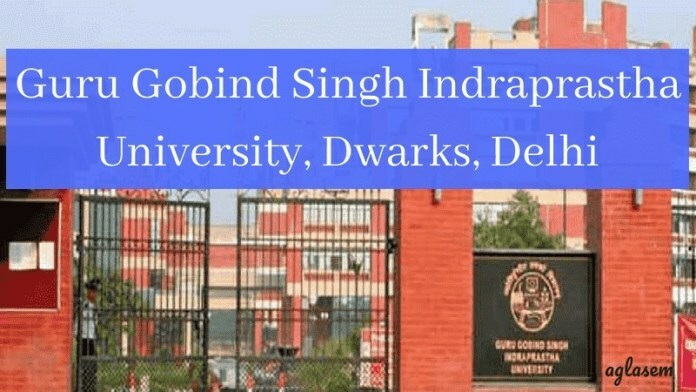 Guru Gobind Singh Indraprastha University was established as Indraprastha University (IPU) on 28 March 1998 by the Govt. of NCT Delhi as a State University. The university is governed by a board of management, headed by the vice-chancellor and is appointed by the Government of Delhi. Check the date sheet for the semester Examination given here. For any query regarding GGSIPU Date Sheet comment below.